If you want to hear about how to do this – here are a few! 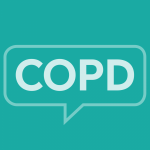 You can: discuss COPD awareness in the forums, ask a question about it, share your story, learn more about it from an article – really, whatever you choose! Have a question about COPD awareness? Help raise awareness by sharing what COPD is like for YOU. Get the word out about COPD awareness month on Twitter. Join the COPD awareness month conversation in our Spotlight forum. See some of our classic posts about COPD awareness!